Completed 1976 as Ficus for STUK. 1979 to Shell Tankers Rotterdam. 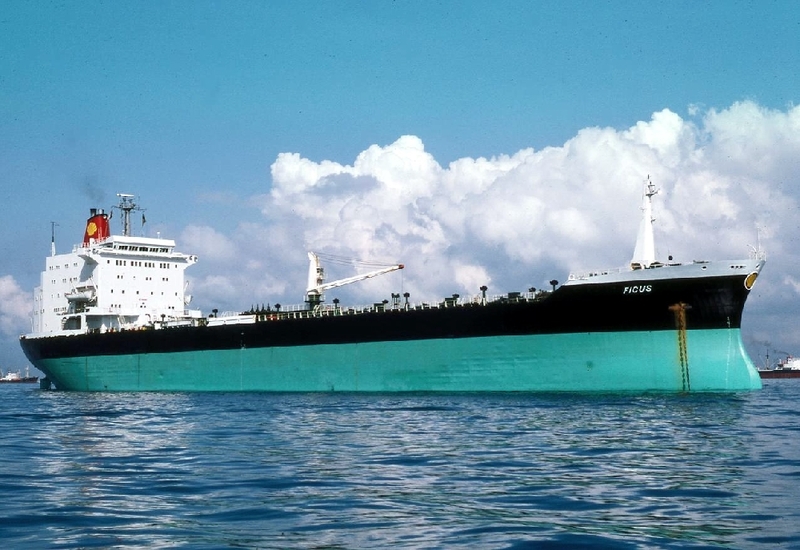 1989 sold Gefion Tank Danmark and renamed Gefion Atlantic. 1990 sold Solships Norway and renamed Sol Transporter. 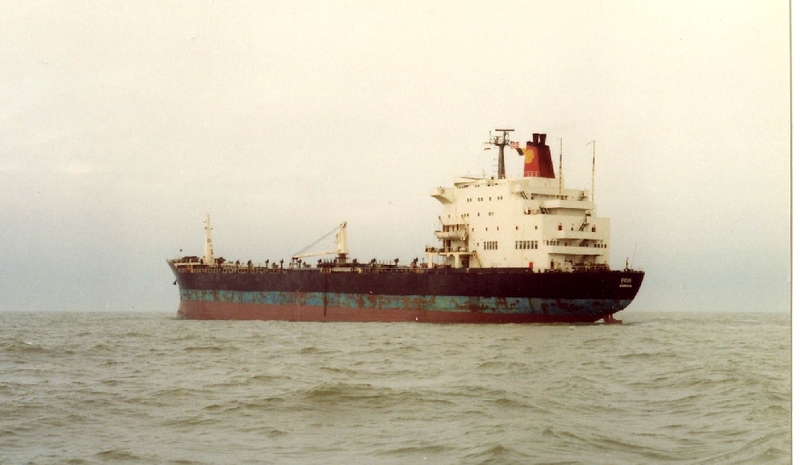 1992 sold Forus Tank Norway and renamed Traveller. 1995 to Int. 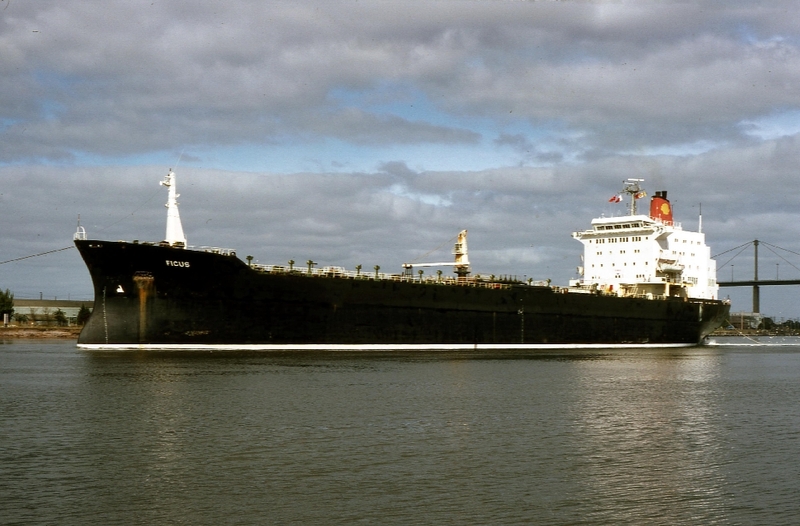 Oil Tanking Panama and renamed Sea Angel. 1998 sold Magne Carte and renamed Angel II. 1999 to Euro Kegend and renamed Astralia II. 13-1-2000 arrived Alang India for scrap. Frederick Paul ... 4th engineer 1978 Last trip at sea, now in Cornish tin mining. Mijn allereerste reis ging naar Singapore, het Shell eilandje (Pulau Bukum?. Ik was 18 jaar jong en wist niet eens waar Singapore precies lag. Vanaf Schiphol was het best een eindje vliegen, maar het grote avontuur lonkte. She was known throughout the fleet as the party ship when I was serving on her - 8 officers wives and 1 Po wife on board. Party every Saturday night where everyone dressed up for it. Met my future wife on here (don't ask!) Great socially and the ship ran well - no steam all electric! Singapore/Japan, Singapore/New Zealand - great trips! This was my first F class ship, i spent almost a year on the Ficus between Aug 76 and July 77. This was one of my favourites. In de zuid chinese zee 131 vietnamese vluchtelingen opgepikt destijds een zeer bijzonder ietsen na ongeveer 3a4 dagen afgezet in okinawa. Have you sailed on Ficus (2)? Log in and add yourself as a sailor to the Ficus (2)! Log in and add your personal story to the Ficus (2)!